NEW YORK (Reuters) - The financial sector, recently a weak performer in the stock market, will garner the majority of investor attention next week as a number of big banks post their quarterly results. 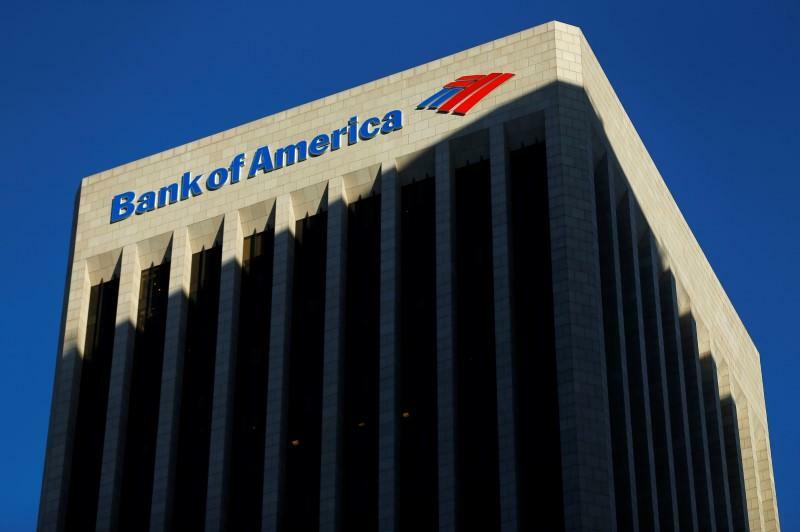 Goldman Sachs Group Inc, Bank of America Corp, Wells Fargo & Co, Citigroup and JPMorgan Chase & Co - the five biggest U.S. banks by market cap - are due to report results as the sector has trailed the market in recent weeks and earnings estimates have fallen. Financial companies are expected to show earnings growth of 8.4 percent, behind only telecoms and consumer discretionary companies in expected growth for the quarter. However, that growth is down from the 14.8 percent expected at the start of the quarter, and down by half from the 17.8 percent growth expected at the start of the year. In the last 30 days, banks have seen their estimates steadily lowered, with Goldman the biggest victim. Its estimates for the quarter are down by 25 percent in that time period. While the broader market has recovered from losses sustained in the latter half of August, banks have struggled. The Fed's decision not to raise rates, coupled with economic concerns and worries about trading revenues, have tethered shares of the big banks. The S&P 500 financials index has underperformed the broader market, and has slumped 5.6 percent this year so far, compared with a 2.2 percent decline in the S&P 500. In the last month, the S&P 500 has gained 2.2 percent, but the five biggest financial institutions are all flat or down. The banks give an idea of the activity of mid- and small-sized business, which can help gauge the health of the broader economy, according to Kim Forrest, senior equity research analyst at Fort Pitt Capital Group in Pittsburgh. "Some people are saying we are in a recession, other people are saying it’s that summertime lull and I don’t think anyone knows," said Forrest. The U.S. Federal Reserve's decision not to raise interest rates in September is also likely to impact trading desks at the banks, which could weigh on their bottom line, as well as desks that did not anticipate the strong rebound in equities. The market expects bigger swings than usual this quarter. While the typical bank share move after earnings is about 2 percent, swings one-and-a-half times that are expected this earnings season. "Participants are bracing for a bit more volatility than in past quarters," said Fred Ruffy, strategist at options analytics firm Trade Alert in New York. The S&P 500 has gained in seven of the past eight sessions and was on track for its biggest weekly percentage gain of the year. Investors will also look next week to data on inflation - one of the conditions the Fed accounts for when deciding on interest rates - with the release of the producer and consumer price indexes. The week also includes retail sales and consumer sentiment data. Overall, third-quarter earnings for S&P 500 companies are expected to decline 4.5 percent, according to Thomson Reuters data. That compares with just a 0.3 percent decline that had been forecast in July.